If you are planning to explore the scenic beauty of Queenstown at your own pace, it is a great idea to hire a campervan from a reliable company like Camperco. 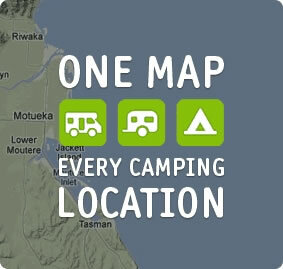 The Campervan Hire Queenstown Company has built a reputation by providing comfortable, well designed and clean campers to visitors. Each vehicle is equipped with a 2 burner gas cooker that runs through a LPG gas bottle. Further, you will find pots, pans, plates and cooking utensils to prepare food during your road trip. However, you must consider some simple tips to make delicious foods in the RV kitchen without any hassle. You can always save your time by planning the cooking in advance. The sauces, soups, stews and other side dishes can be prepared ahead and get freeze. You can simply warm the refrigerate side dishes up just before dinner time. Similarly, you can save further time by measuring the dry ingredients required for making bread, and place these into a plastic bag. You can also measure and store the mixes and flours required for making waffles and pancakes. When the ingredients are measures ahead, you can simply mix them and make delicious dishes. Further, the arrangement will help you in keeping pantry organized. The marinated vegetables and meat can be transferred easily in plastic bags. So you can consider marinating the vegetables and meat ahead to save time. As the ingredients are already marinates, you can simply use those while cooking. While cooking pasta and other starches, you have to wait for the water to boil. But you can save time by cooking the starches partially. For instance, you can cook the pasta partially, and store in a plastic bag. The cooked pasta can be used while making dinner after being warmed up. It is also a good idea to check the campervan kitchen while collecting the vehicle. You can even ask the Campervan Hire Queenstown Company to provide additional utensils required for making specific dishes.